The annual Women’s History Month Event is rapidly approaching—make plans to attend today! 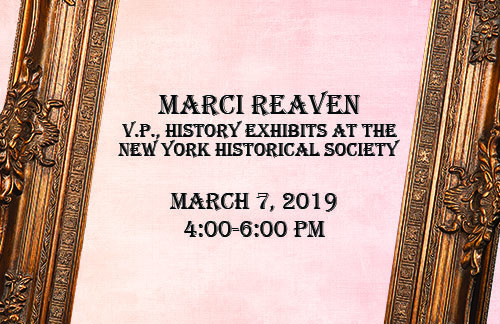 Marci Reaven, Vice President of History Exhibits at the New York Historical Society (NYHS), will preview NYHS’s upcoming exhibit, Hudson Rising 1825-2025, and the role that Women’s Clubs played in preserving public lands. Hudson Rising will examine the ecological, industrial, and scenic changes that have taken hold of the Hudson Valley over the last two centuries. The exhibit will delve into the many groups that have found meaning in the Hudson River, and the ways they have used, changed, and preserved the environment. The New Jersey State Federation of Women’s Clubs (NJSFWC) played an indelible part in the story of the Hudson River and its evolution. At the turn of the century, the NJFWC, along with other local groups in both New York and New Jersey, garnered public support for turning the Palisades into a public park. Their efforts helped to stem the extensive quarrying and logging projects which were concentrated in the area in the 1890s, and preserved the land for future generations. Don’t miss this chance to see GFWC’s impact on history. RSVP to WHRC Manager Alyssa Constad at aconstad@gfwc.org by February 14. We hope to see you at 4:00 p.m. on March 7. We’re a little over a month away from Read Across America Day on March 2. If you haven’t already, start preparing to visit elementary schools to read to children or to donate books. Every year clubwomen bring smiles to students, and this year will be no different. Whether you wear a Cat in the Hat outfit to visit schools or you host a reading circle at the library, get ready to celebrate Read Across America Day in your community! GFWC Florida’s State President Project was inspired by life-changing experiences with Operation Smile. Sharon Oliphant was first introduced to the power that a smile has in building relationships around the world as GFWC Florida Director of Junior Clubs in 2004. Now she is spearheading a fundraiser for GFWC Florida to have its very own Operation Smile Mission! 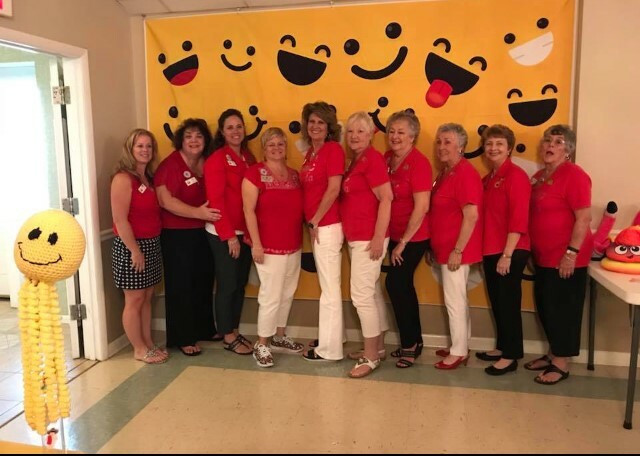 Fourteen “Smile Squad” members, represented by all 14 GFWC Florida Districts, are leading the cheerleading and fundraising to meet the $250,000 goal over the course of the 2018-2020 Administration. The success of fundraising events are being tracked at the district level. Five lucky GFWC Florida members will ultimately be drawn from a raffle to go on the Operation Smile Mission. But even if a clubwoman is not randomly selected to attend, she and the entire Florida membership will benefit from the speakers, celebrations, and days of smiling while raising money for a great cause. To date, each of the 14 Florida Districts have had fundraising events: frog races, smile contests, fundraising basket drawings, head or tails contests, and much more. Last but not least, the grand prize winner of a drawing drove home in a Smile Mobile and with $240. The license plate of the Smile Mobile represented the cost of one smile surgery. GFWC Florida is just getting started and is already almost halfway there! Check out other photos on GFWC’s Pinterest. The Chapin Woman’s Club (South Carolina), GFWC North Pinellas Woman’s Club (Florida), GFWC Woman’s Club of Deerfield Beach (Florida), Bridget Murphy of the GFWC Morgan County Woman’s Club (Kentucky), the Haddon Fortnightly (New Jersey), the Circleville Junior Women’s Club (Ohio), the GFWC Henderson County Woman’s Club (Tennessee), the GFWC Jubilee Woman’s Club (Alabama), the GFWC Women’s Civic League of Cheyenne, X-JWC, and Cheyenne Optimist Club (Wyoming), and the GFWC Valamont Woman’s Club (Tennessee) are featured on GFWC’s Blog for their Martin Luther King, Jr. Day of Service projects. GFWC’s Success for Survivors Scholarship is made possible through your generous contributions. As the application deadline for this year comes closer, we’re already thinking of the survivors we can help next year with your support. Make a tax-deductible donation to the Success For Survivors Scholarship fund today. Every year, GFWC offers contests for clubwomen to flex their creativity or share their publications and websites. Keep these deadlines in mind and check out the Club Manual for more information. Johns Hopkins Medicine wants to know: What wellness topic and medical issues are of most concern to you? Complete their survey before January 31. The results of the survey will be reflected in the Johns Hopkins annual women’s health conference, A Woman’s Journey, scheduled for Saturday, November 23, 2019 in Baltimore. Visit their website for more information about the November program and additional programs in the Greater Washington Area and throughout Florida. Parliamentary Pointers: Governing Documents Cont. Henry Martyn Robert, III, grandson of the original author of Robert’s Rules of Order died on January 6, 2019. He was 98 years old and had been an active member, and honorary president, of the National Association of Parliamentarians. Robert’s Rules of Order was first published in 1876 by U.S. Army officer Henry Martyn Robert. He wrote the manual in response to his poor performance in leading a church meeting that erupted into open conflict because of abolitionist concerns at the First Baptist Church in New Bedford, Massachusetts. He resolved that he would learn about parliamentary procedure before attending another meeting. The rules are loosely based on procedures used in the United States House of Representatives, but the rule book was not intended for use in national and state legislatures. The book is the most commonly adopted parliamentary authority among societies in the United States. It is also recognized as “the most widely used reference for meeting procedure and business rules in the English-speaking world.” Robert’s Rules of Order is the Parliamentary Authority of GFWC. 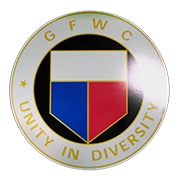 the GFWC Marketplace to welcome visitors in your community.